Compared with the ordinary casting spinning 22.5*7.5 Aluminum Alloy Wheels technology, the higher mechanical performance is mainly characterized by higher strength and higher toughness. 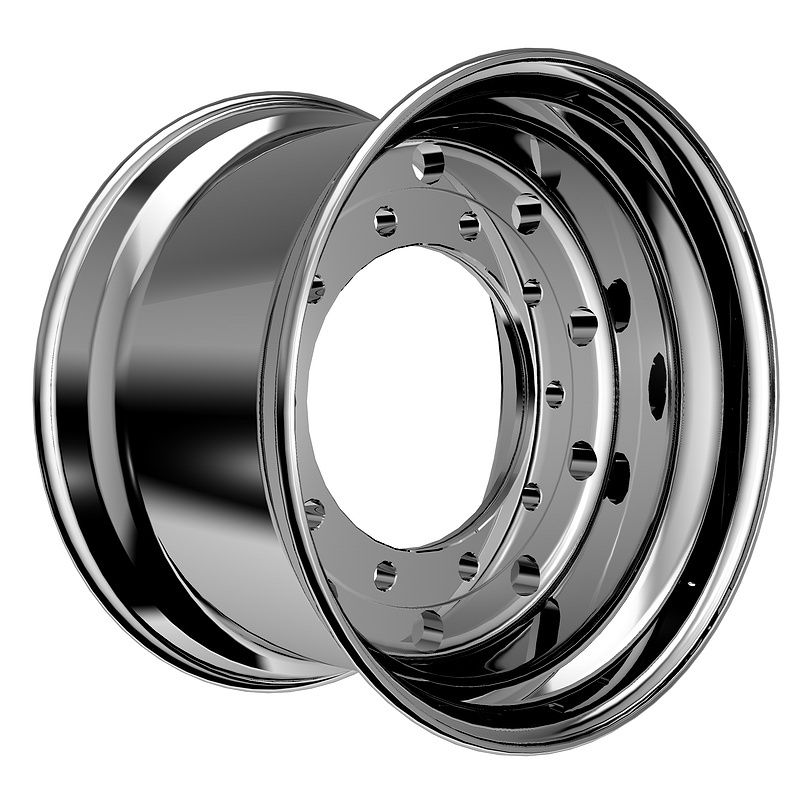 In addition, the spinning rim has a thinner cutting surface, and the overall weight of the rim is also reduced. The first step: the preforms preheated by the induction furnace are fixed on the large-scale high-speed spinning equipment, and after the blanks are matched with the special special inner cylinder molds, the spin forming starts. The second step: in 22.5*7.5 Aluminum Alloy Wheels Factory, the large-scale high-speed spinning equipment starts to rotate at a high speed, and the secondary heating device is started to make the spinning rim portion constant temperature, and at the same time, the high-pressure wheel is rotated to make it squeeze under the double pressure of the special mold matched with the special inner cylinder. Pressing the rim to partially stretch the rim of the blank to create a preliminary rim shape. Step 3: Advantages of tensile strength and yield strength Keep high-speed rotation and high-temperature protection molecules from being strained. Repeated high-pressure rotation stretches the rim to create a high-strength rim thin wall and reach pre-designed dimensions. The fourth step: adjusting the speed from the top to the bottom of the fine rim of the plastic rim, the entire process of shaping the rim shape is to improve the crystal structure of the aluminum alloy is more compact, the molecular structure is more refined and fiber, effectively improving the elongation of the material.